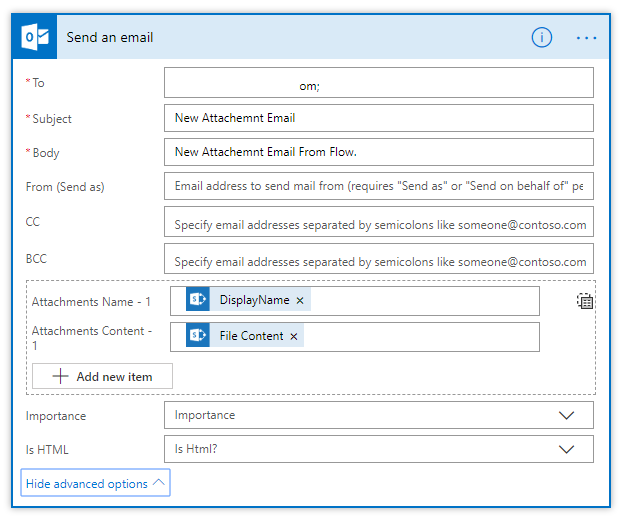 Here, I will show you how to configure a flow which will read a file from the document library and will add those files as an attachment to the email. Login to MS FLow using Office365 credentials. Create from blank > When a file is created or modified. 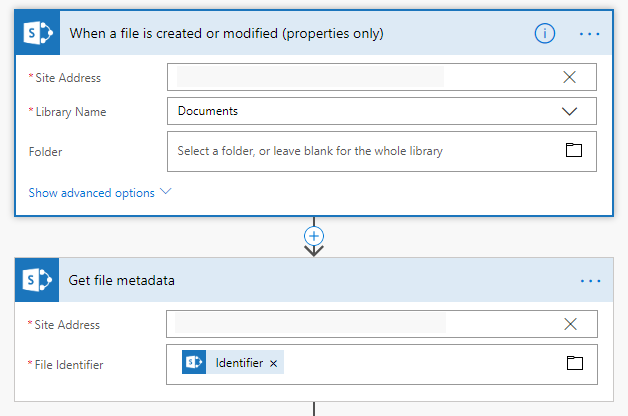 Add "Get file Metadata" and provide the Identifier against File Identifier. Add "Get File Content" and provide the Identifier against File Identifier. Add a condition to check if "Get File Content" is not empty. Type the text as "@not(empty(body('Get_file_content')))" inside condition. If Yes, send the email. The email contains the attachment as below.